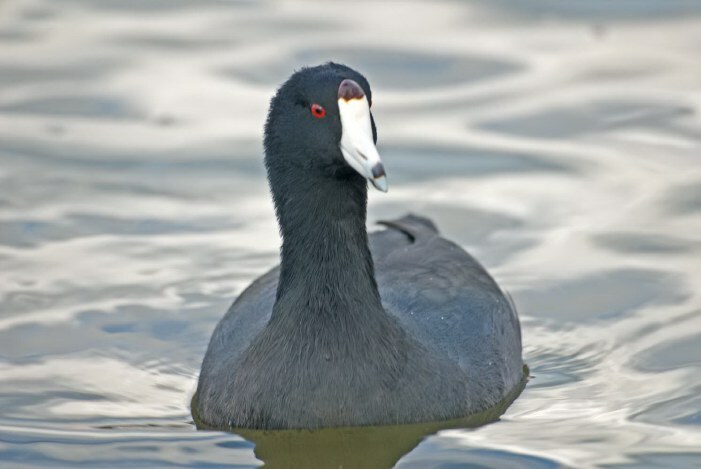 American coots are called Poule D' Eau (pronounced "pull-doo") in south Louisiana. They migrate with the ducks and arrive each fall in great numbers. They're common at Spanish Lake in fall and winter.